The Hanahan Water Treatment Plant currently provides clean drinking water for about 400,000 area residents in Charleston, NC. 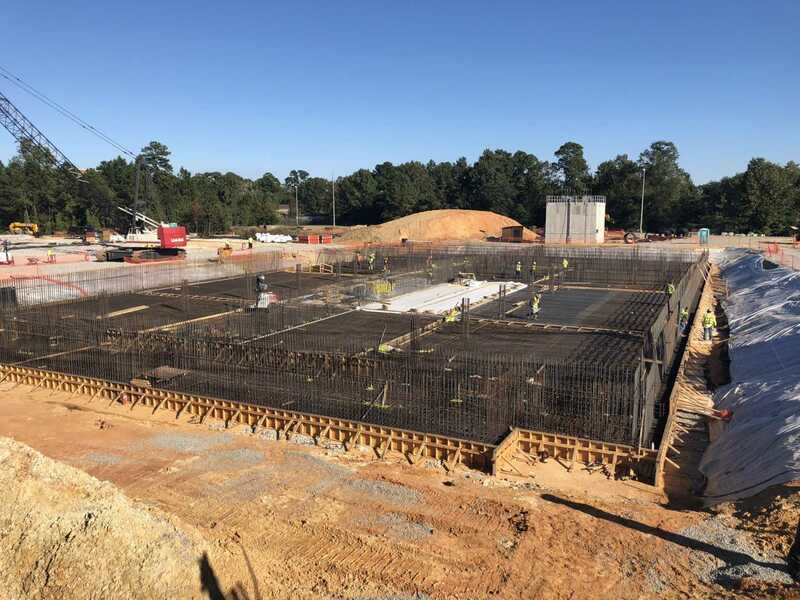 Donley’s Concrete Group is providing form-work labor and concrete placement to PC Construction (GC) and Charleston Water System (Owner) for construction of the Sedimentation Basins 9& 11 and the Settled Water Effluent Flume. 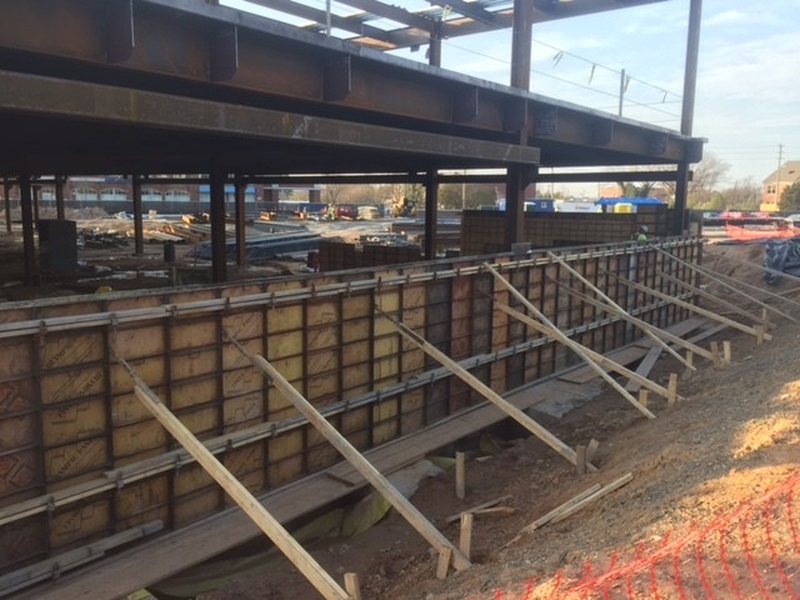 The project consists of 37,000 SF 2.5’ thick mat foundations, 10,500 SF of framed slabs and 2,400 LF of 20’ tall walls. 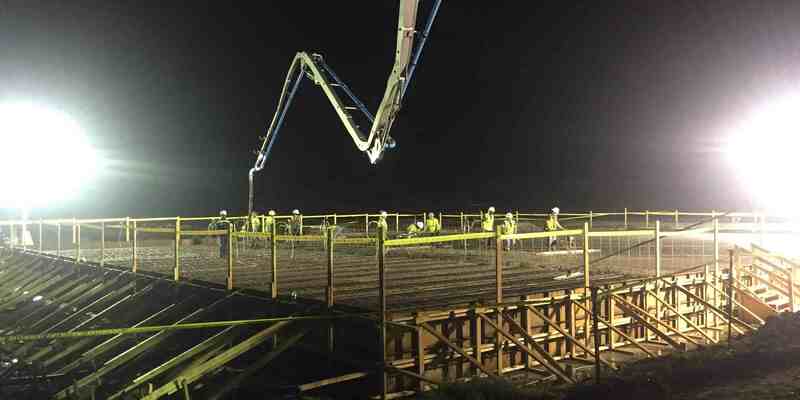 The concrete and all materials must be placed in strict accordance with NSF 61 requirements governing the construction of drinking/potable water structures adding a level of technical complexity for the team. These new structures are part of a $42 million modernization project to the 100 year old Hanahan Water Treatment Plant which can treat over 100 million gallons of water per day serving customers throughout the greater Charleston area. Donley’s started the project in October 2018 and is projected to finish in March 2019. Donley’s is providing Design/Build services for the Jackson Street Pier improvement project for the City of Sandusky, OH. The $8.1 million project is part of the City’s overall goal to improve waterfront access citywide with the activation and improvement of the City’s waterfront parks. Donley’s will reconstruct the Jackson Street Pier into a park, with green spaces, and streetscaping features, while partially maintaining its current usage as a parking lot. The pier is scheduled for completion in Spring 2020. Our team includes OHM Advisors and KS Associates. 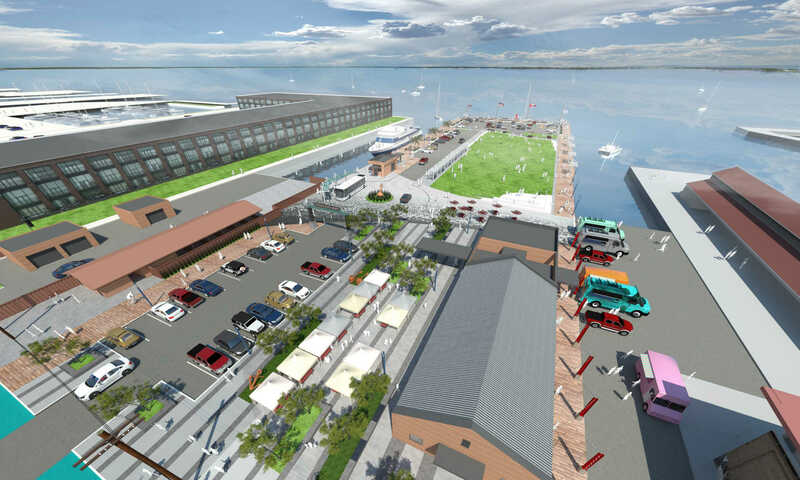 Similar to our Cleveland Public Square project, Donley’s is excited to work with the City of Sandusky on this transformational project. Read more here or click below to view a live webcam of the project. Donley’s provided concrete services for the iconic restaurant during its original construction in 1963. Over the years, we have provided maintenance and restoration for the structure to ensure it’s long life on the shores of Lake Erie. Even after over half a century Donley’s is still involved with this memorable Cleveland landmark. 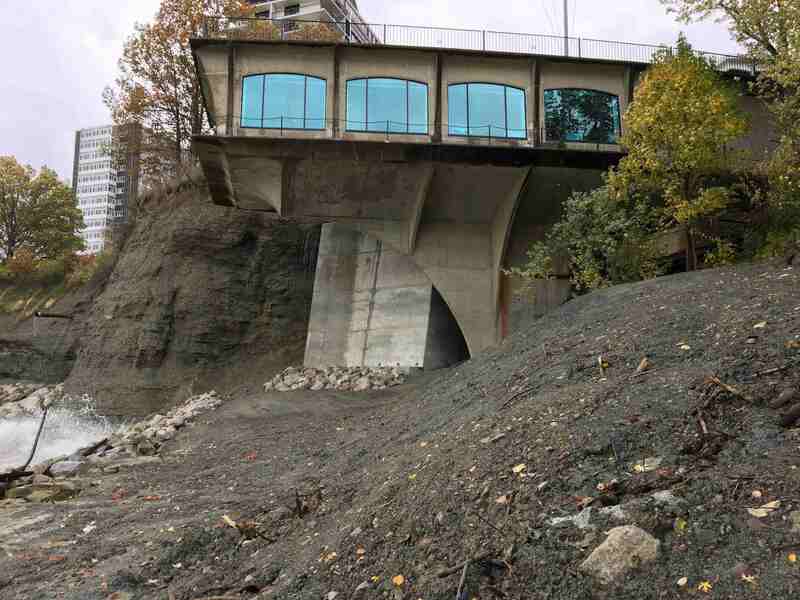 The team worked on the underside of the restaurant, right on the shore of Lake Erie, making access to the site a bit unconventional. All equipment and materials for the project had to be brought on site by lake, on a barge, as pictured below. As for the construction team, they had access to the jobsite, by rope, down the hillside. The support wall itself presented some challenges as well. While drilling for the caissons, an abandoned dock was found 22 feet below the proposed structure, requiring it to be demolished and removed by the team. The concrete for the wall had to be pumped 400 feet horizontally, to get to the point of placement due to the nearby parking garage not being rated for the weight of a concrete truck. Even with these challenges, Donley’s and team finished the project successfully in 11 weeks’ time. The final concrete wall was 35-feet tall, 30-feet wide, and 12-feet deep, providing the cantilevered restaurant with a stable and reliable support. Our Richmond office was awarded the concrete services contract for the Virginia War Memorial expansion project. The $26 million expansion project will add 26,500 square feet in educational facilities, administrative office space and a lecture hall, a second shrine. Donley’s scope includes slab-on-metal deck for this building expansion. 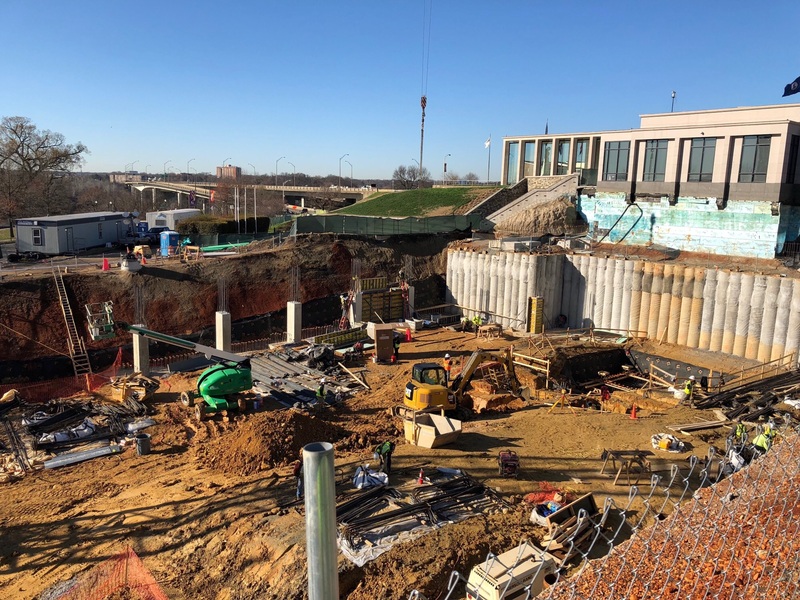 The parking deck will add on roughly 170 spaces, more than tripling the memorial’s parking capacity, with two underground levels and a third above ground. Donley’s scope includes cast-in-place foundations, walls, columns, slab-on-grade, stairs, and post-tension cable elevated decks. The memorials entire expansion is set to finish in late spring or early summer 2019. 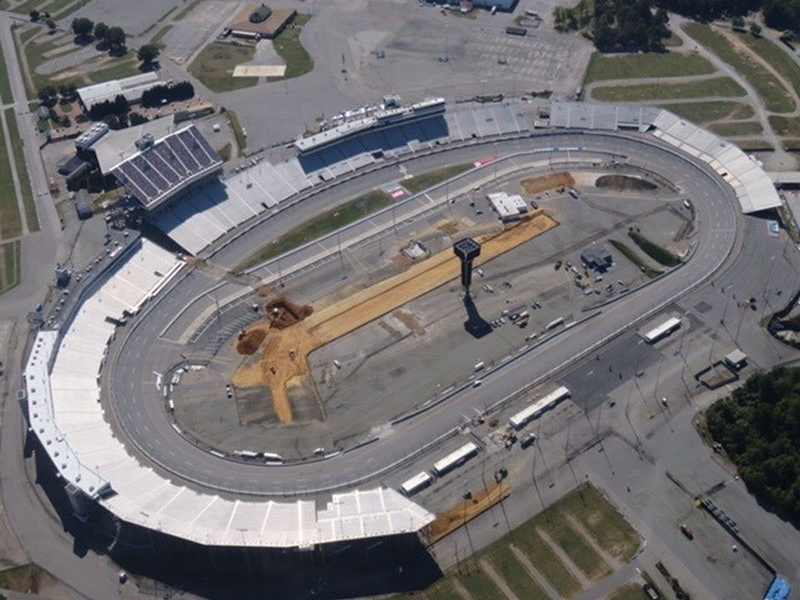 The 70-year-old Richmond Raceway underwent construction by DCG Virginia. The infield expansion and accommodations will help to reach the next generation of fans. Working with Barton Malow, our contract for concrete services was for $3.2M of the $30M expansion to the track. The full expansion project was completed in time to debut the reworked track at the Fall 2018 race. The renovations at Progressive Field consisted of concrete removal, waterproofing, and replacement of approximately 20,000 sq. ft. of elevated structural deck topping slabs. Most of the work occurred during the Cleveland Indians’ off-season. 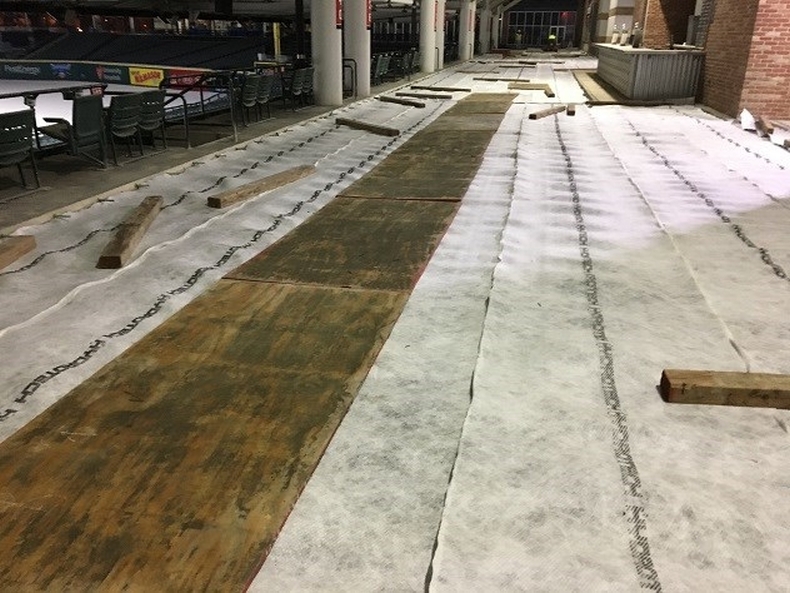 Donley’s also took advantage of the Indians’ schedule in the summer to remove, waterproof, and replace approximately 2,000 sq. ft. of concrete while the team was out of town. Donley’s is currently off site, but will return in the fall of 2017 to complete the project. 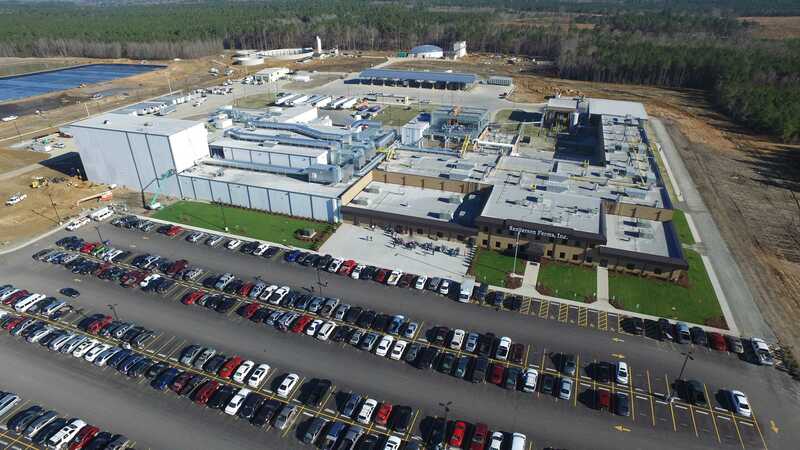 In January 2017, working with Choate Construction / Raleigh as construction manager, DCG finished the Sanderson Farms processing plant and wastewater treatment facility in St.Pauls, N.C. The $8M contract included a turnkey concrete package, consisting of large spread footings, grade beams, pits and trenches for the processing facility, 285,000 sq. ft. of slab on grade and elevated slabs, including 400,000 sq. ft. of exterior concrete paving. The project had 21,000 cubic yards of concrete placed out of an onsite concrete batch plant. Donley’s Concrete Group’s portion of the project was completed in 11 months and is DCG’s second processing facility for Sanderson Farms. 1885. 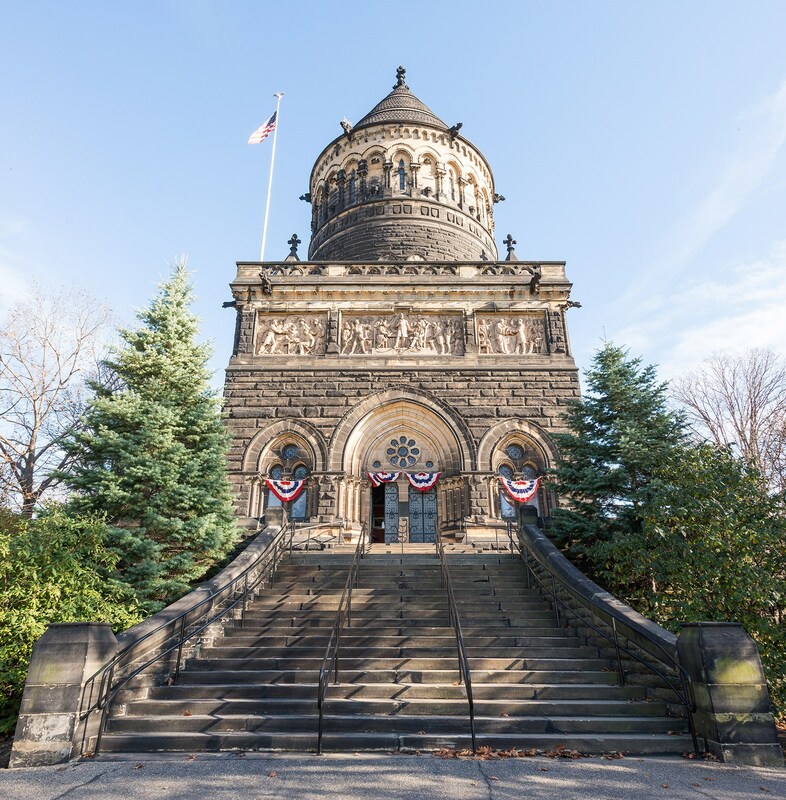 Over 100 years later, time had taken its toll on this Cleveland Memorial. The foundation of the 180 ft structure needed to be repaired and supported.